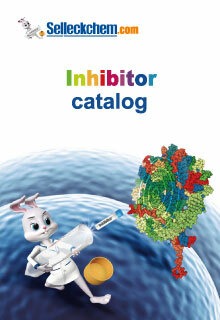 Biological information, product citations and featured experimental results for more than 2200 inhibitors. 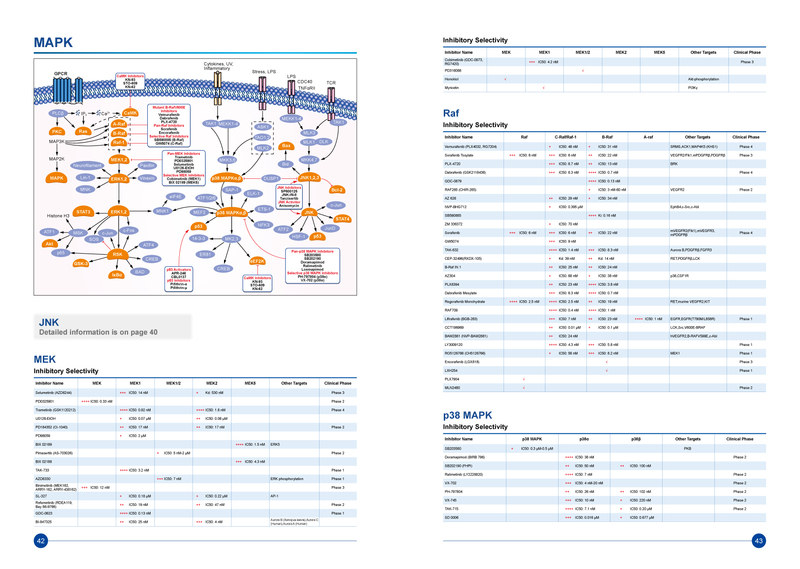 Technical details to choose inhibitors targeting specific isoforms. 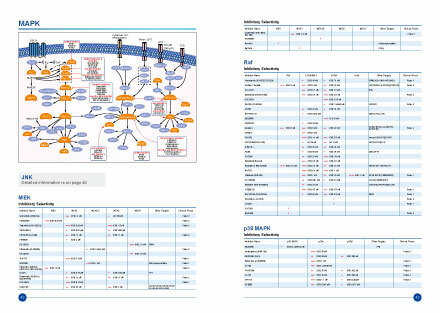 Inhibitory selectivity table to compare the inhibitor efficiency of different isoforms. Text-focused. 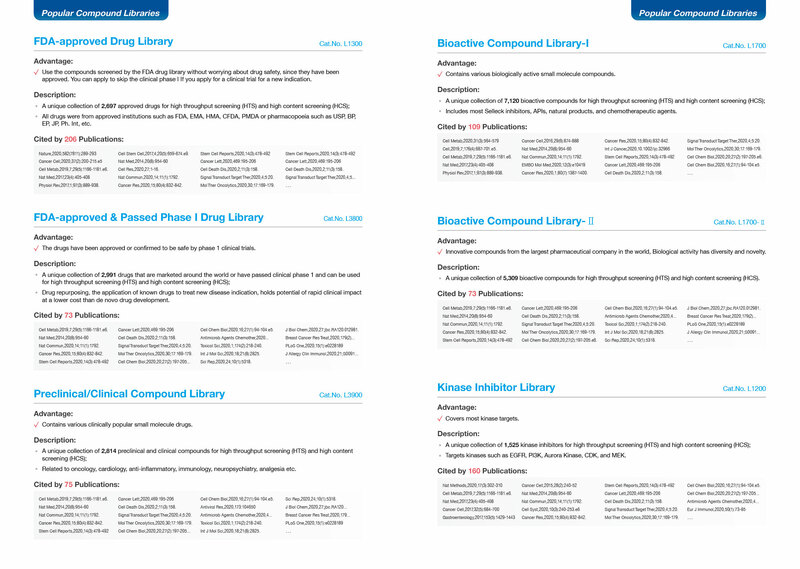 Quickly find your inhibitors. Complete catalog with selected high-resolution experimental figures. 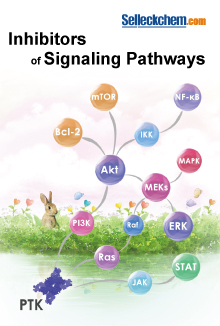 Signaling pathway maps with targeted inhibitors for 49 hot systems. 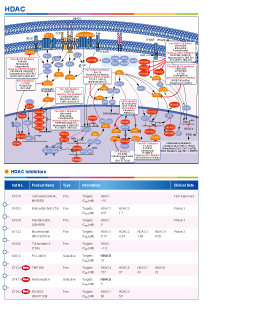 Discover the newest inhibitors targeting specific pathway locations. 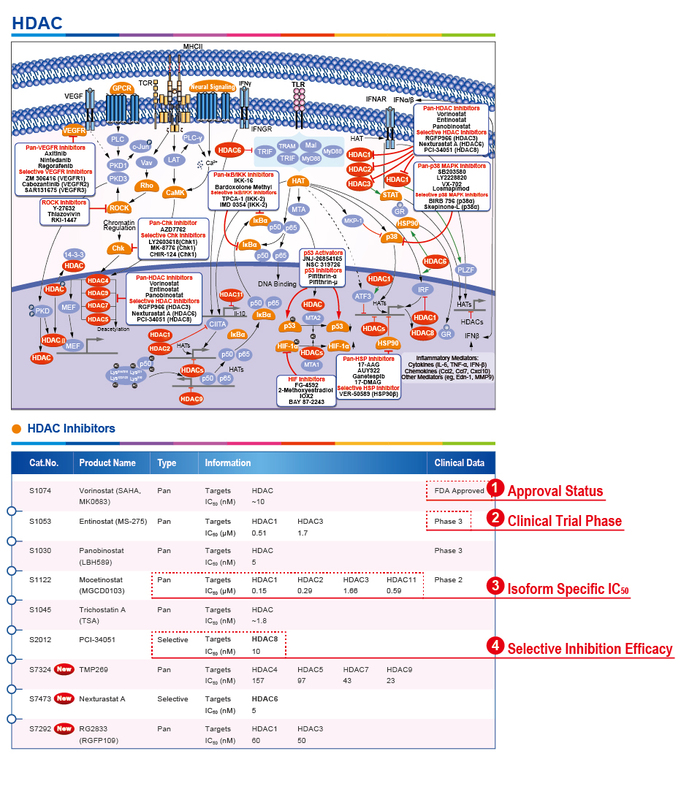 Up-to-date clinical trial phase information including FDA, EMA, and MHLW approval status. 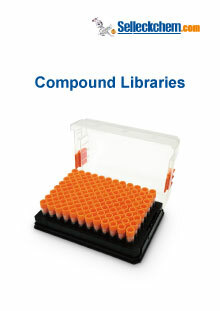 Advantages of Selleck compound libraries. 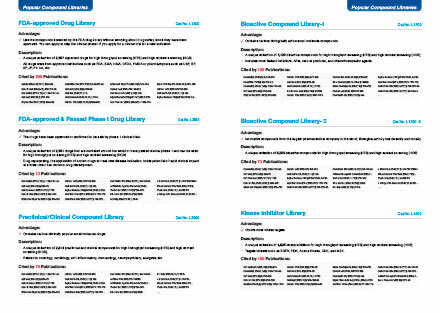 Library Composition: Quantity of compounds and specific targets of each.